Los Angeles is truly an adventurer’s paradise. L.A. is home to more than tanned celebrities and the latest smoothie bar; in fact, the City of Angels has beaches, mountains, rivers, and hundreds of miles of trails all within easy driving distance. It’s the home of modern rock climbing, has some epic mountain biking, and the surf here is truly tasty. L.A. has everything you need within an hour of the city—and oftentimes much closer—to have an epic weekend adventure with long days of awesome views and more than a few thrills. So the next time you’re looking for a weekend of male bonding, check out everything L.A. has to offer. Here’s a two-day itinerary for a weekend getaway for adventurous guys. Check into the Farmer’s Daughter on Fairfax, a boutique property that offers down-home décor with a heap of good ol’ fashioned fun. With a pool bar and restaurant onsite, the hotel offers everything you need right on the premises. Not only that, but the Farmer’s Daughter is located right at the intersection of the Beverly Hills, Mid-Town, and West Hollywood neighborhoods, which means that there is more than enough within walking distance to see, do, and eat. Start your first day with a challenge. 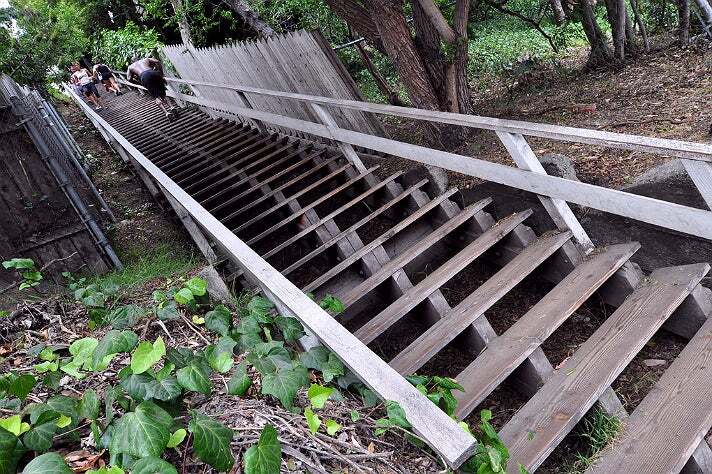 Grab your buddy and see who can run five laps on the infamous Santa Monica Stairs the fastest. If you puke you’re disqualified, those are the rules. The steps begin on Entrada Drive, just south of the intersection with Amalfi. The steps (all 160-plus of them) climb straight up the hill towards Adelaide Drive. At 109 feet, that’s just about the height of an eight-story building. In between gasps remember to take a peek at the ocean views. If you ran the steps, you’ve earned donuts and coffee. Owners of Sidecar Doughnuts & Coffee, Sumter and Chi-Lin Pendergrast, and executive chef Brooke Desprez offer what some are calling the best doughnuts in Los Angeles. For a city where doughnut shops seem to occupy every corner, the folks at Sidecar are breaking the mold and offering something better than your average glazed donut. Stop and sample their unique daily flavors such as Madagascar Vanilla Twist, Huckleberry, or Maple and Bacon. 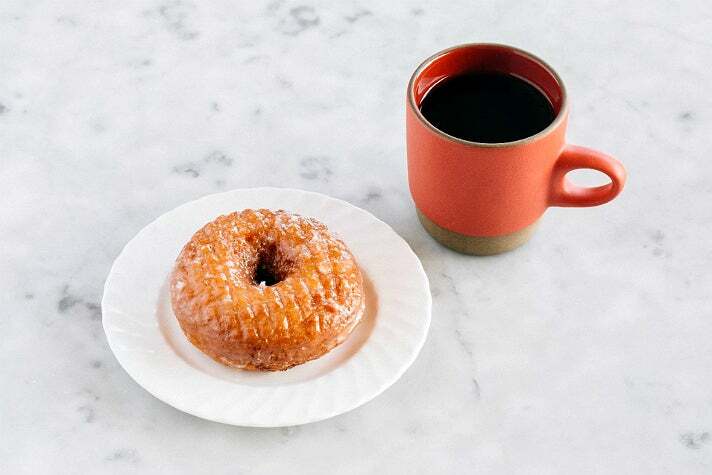 Pair your doughnut(s) with Sidecar’s signature coffee blends, created in collaboration with Portland, Oregon’s famous Stumptown Coffee Roasters. 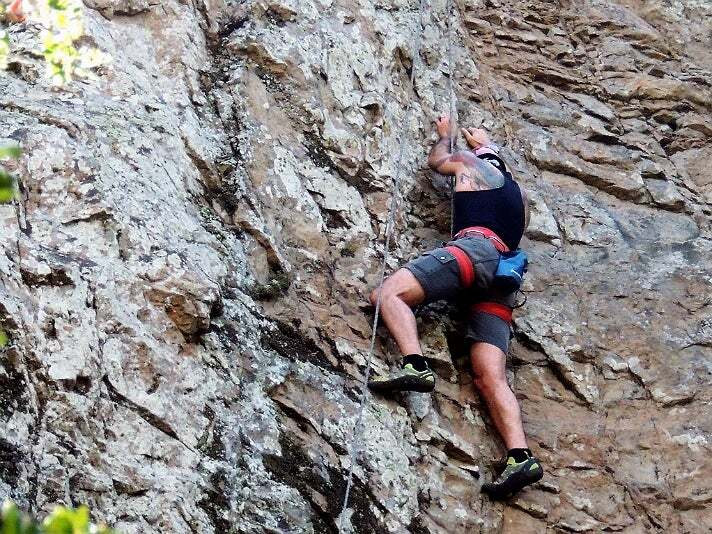 Meet up with your guides from Rock ‘n Rope Adventures for a morning rock climbing in Malibu. Guides teach students the basics of rock climbing safety and technique as well as provide the gear for your lesson. The classes are held at Malibu Creek State Park, a classic L.A. climbing area. If this isn’t your first time roping up, then don’t worry. Malibu Creek offers routes from 5.4 to 5.13, which means there is more than enough challenging terrain to go around. In Los Angeles, the taco truck is life. Ask any Angeleno in the know, and they’ll tell you the taco truck is worth its weight in diesel-fueled gold. The Oaxaqueña Taco Truck is most often parked on Lincoln Boulevard in Venice, and serves up the bromance of Mexico and America, the street taco—a simple taco, typically stuffed with your choice of meat and garnished with only cilantro and onion. Oaxaqueña also offer burritos, tortas (meat sandwiches), and tostadas. But, it’s best to stick to the basics and get four carne asada tacos for just $6 total, how can you beat that? You didn’t come all the way to L.A. to skip the beach, it’s what this city is known for—the sun, the sand, the babes. Pro tip, you’ll look a lot more like a local with a wetsuit on, even if you spend all your time on the board taking diggers into the sand. In the event that you are a total newbie, Aloha Brothers Surf Lessons offer lessons to all levels and ages. They’ll even hook you up with a board and wetsuit as part of your lesson. Under the guidance of instructors, you’ll be riding waves at Venice Beach in no time. Be sure to make reservations in advance, as lessons can fill up early, especially during the busy summer months. 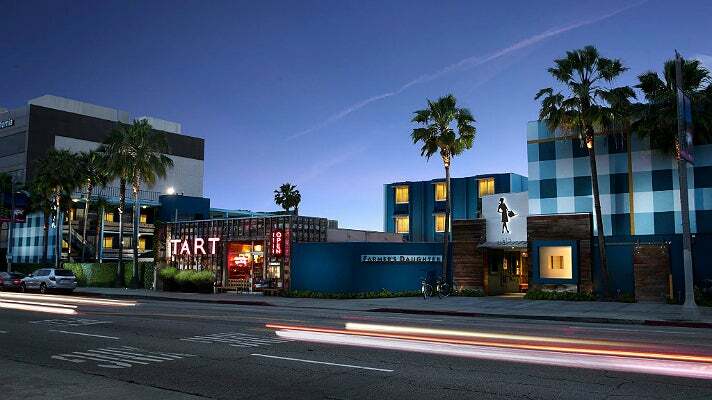 Before you head back to the hotel and freshen up for dinner, you can take a detour to the spectacular Petersen Automotive Museum on Wilshire Boulevard. Following an extensive $125-million renovation, the Petersen reopened to the public in December 2015. The Petersen uses state-of-the-art technology with displays of legendary vehicles to tell the story of the automobile in Southern California and around the world. 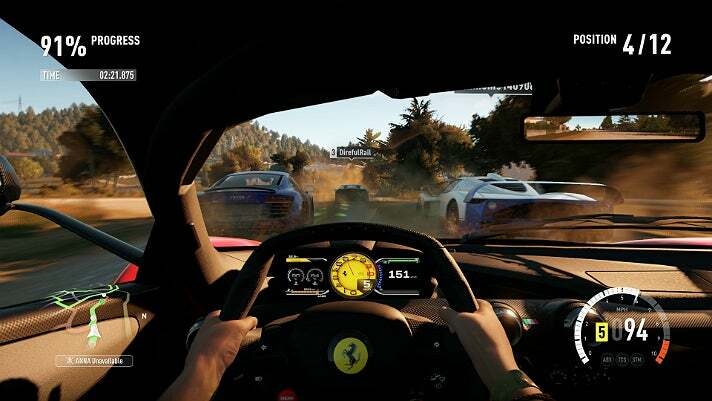 Exhibits include the Back to the Future DeLorean, the $400,000 Ford GT, a motorsports gallery, Xbox Forza racing simulators, BMW art cars, and characters from Disney/Pixar’s Cars. This isn’t your father’s BBQ, but it’s almost as iconic. Eight Korean BBQ is a Los Angeles staple, and once you’ve had it, you’ll see why. Sit down with your friends at a table that has a grill in the middle. Food is served family style (all at once and not individually portioned), with the highlight of the meal being the thinly sliced meat (typically beef or pork) that you grill yourself at the table. So what makes this meat so amazing? Well it’s not just one type of meat, but eight. Oh yeah. 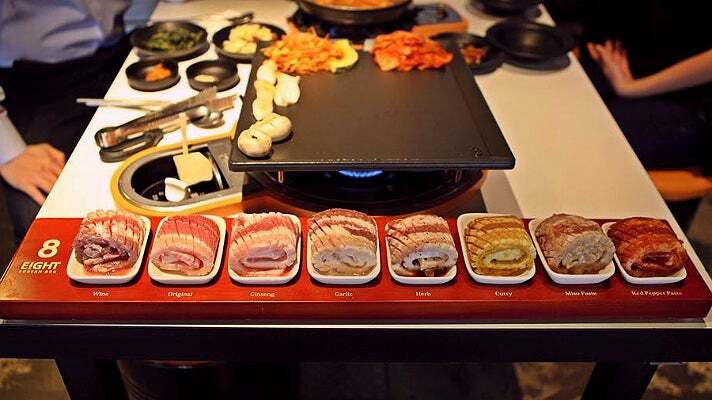 Eight Korean BBQ gets its name from its signature entree - eight servings of pork belly marinated eight ways. It’s more than enough to make any carnivore happy. If all that meat hasn’t lulled you into a deep food coma, then check out Snake Pit Alehouse for one last round. The Snakepit is one of the oldest bars in the Melrose neighborhood and prides itself on sticking to its roots. 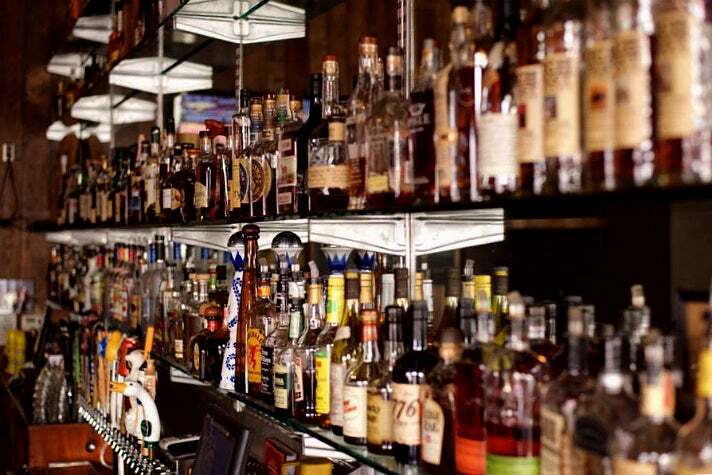 There are more than 100 different whiskeys and 22 beers on tap. The Snakepit is the perfect neighborhood bar, and has great prices, no frills, and a killer jukebox. Pink's Hot Dogs is more than a classic - a legend would be a better way to describe it. And after a few drinks and a long day, Pink's is exactly what you need before shuffling off to bed. What started off as a mom and pop hot dog cart on a corner in Hollywood, has transformed over the course of 76 years to become the iconic hot dog stand of Los Angeles. Don’t be scared off by the line wrapping around the corner, the service is lightning fast. 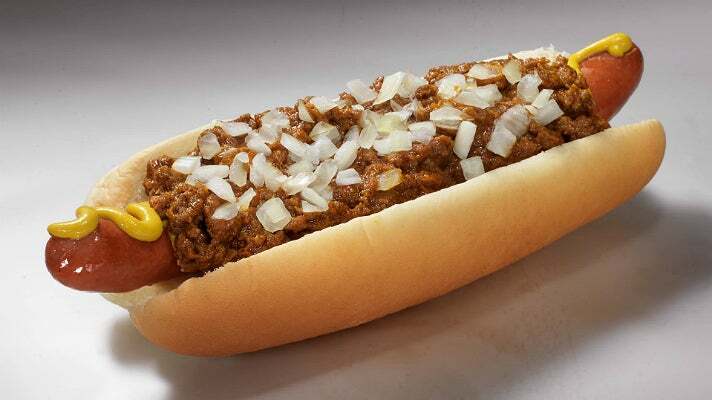 Use the extra time to peruse the menu, or to psyche yourself up for the bacon chili cheese dog that’s coming your way. Opened at The Original Farmers Market in 1938, Du-par's serves its breakfast menu 24-7. The buttermilk hotcakes are legendary - Frisbee-sized and nearly one inch thick. 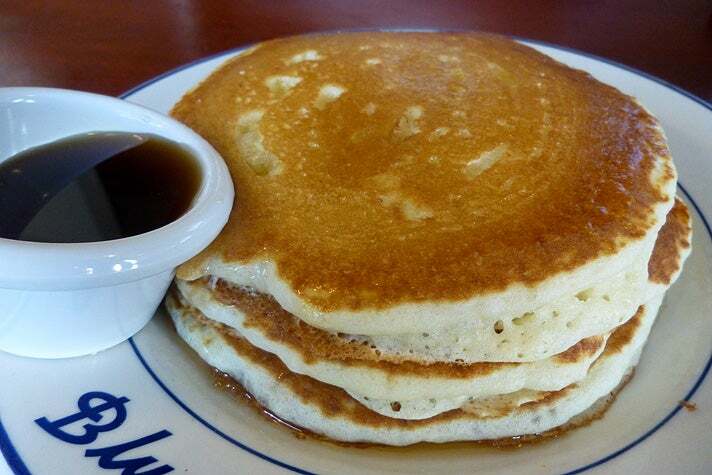 The short stack has three hotcakes, and when the waiter asks if you want butter on top, the answer is, “Yes, please.” Served with a ramekin of warm maple syrup, the hotcakes are fluffy and just right on the sweet-o-meter. Other items include thick-cut brioche French toast dusted with powdered sugar, and country chicken with gravy for savory palates. Du-par’s also bakes up excellent pies, including holiday favorites like pumpkin and Southern pecan. Properly fueled up, you're ready to hike to the Wisdom Tree, which sits along one of the most fun and interesting trails in Griffith Park, the Aileen Getty Ridge Trail. Unlike most trails in Griffith Park, which travel well-used fire roads, the Aileen Getty Ridge Trail more closely resembles a use trail - it's crumbly, rugged, and super fun to hike. Only three miles out and back, with 872 feet of gain, this hike provides great views of the Los Angeles basin, and Burbank to the north. To get to the trailhead, park along Lake Hollywood Drive and head east towards Wonder View Drive. Walk through a gate as the road turns to a dirt fire road, and look for a singletrack dirt trail splitting off to the right—this is your trail. The majority of the gain is achieved before you even hit the first mile marker. About half a mile from the end the trail there’s a ridge. 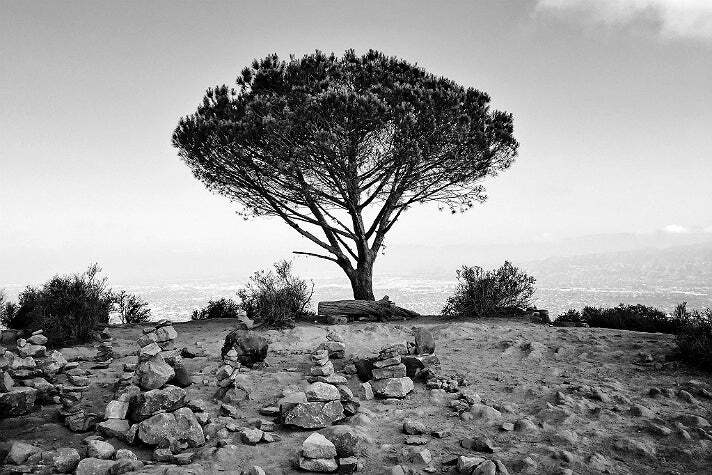 The right fork will take you to the top of Cahuenga Peak, and the left will take you out to the Wisdom Tree. Be sure to look for the ammo box at it’s base, inside there is a trail register as well as letters and wishes from other hikers. 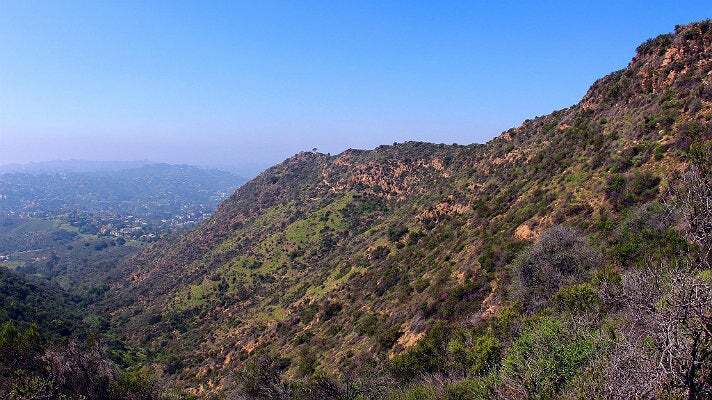 If you’re looking to extend the hike, continue west on the ridgeline to Mount Lee, and the trail will deposit you above the famed Hollywood sign. Golden Road Brewing was one of L.A.’s original micro-breweries. It’s much larger now, but is still an excellent place to grab a beer and a burger. Founded in 2011 by Meg Gill and Tony Yanow, Golden Road offers four of their beers year-round, as well as a choice of their newest brews. 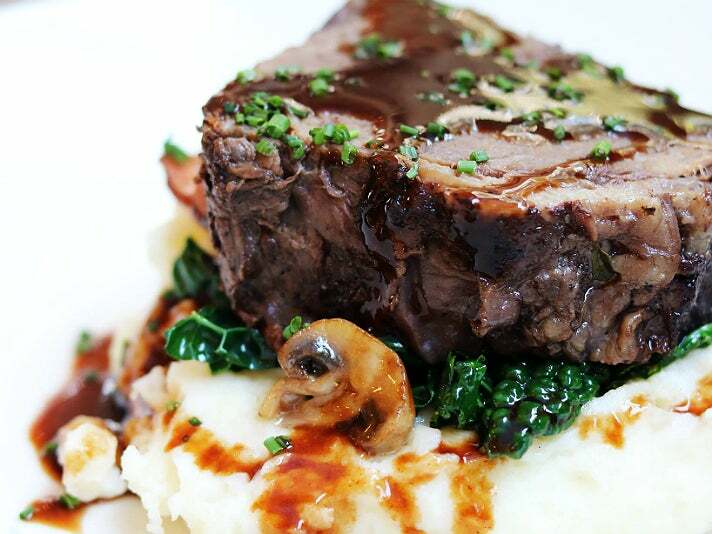 The original location, in Atwater Village, also has amazing eats made by executive chef Adam Levoe, who sources local ingredients to craft his incredible comfort food. 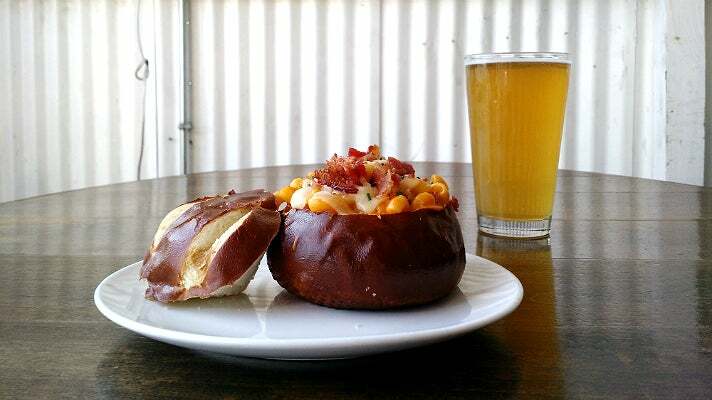 Be sure to try the Pretzel Mac—bacon topped mac and cheese served in a pretzel bowl. Yeah, this guy is good. Located less than a mile from Golden Road, Bicycle Pit Stop will get you set up for your afternoon bike ride. 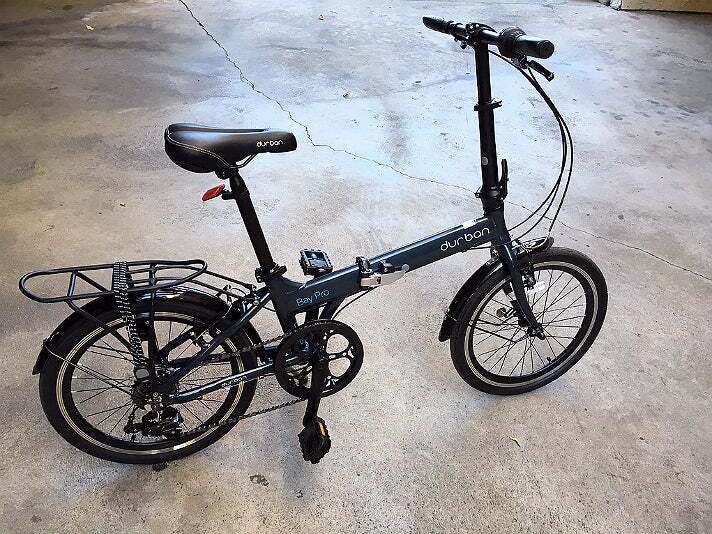 The shop rents Durban Folding Bikes, which are made for paved roads. The frame is designed so that one size fits all, and the seat and handlebar are adjustable to the rider's personal preferences. Bike rental is $15 an hour for the first day. 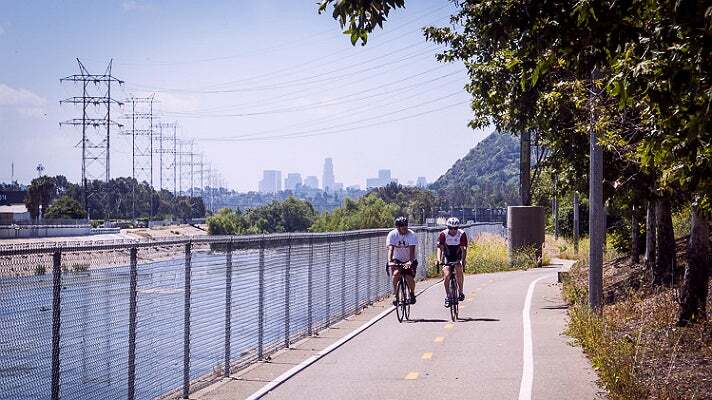 Return to Griffith Park and ride the perimeter along bike friendly Zoo Drive/Crystal Springs Drive to the Los Angeles River Bike Path. Start at the Travel Town Railroad Museum, where you can check out the historic trains on display. Ride east on Zoo Drive to a three-way stop at Riverside Drive. Continue straight on Zoo Drive past the grassy meadows, trees and picnic areas that line the southern outskirts of Griffith Park. 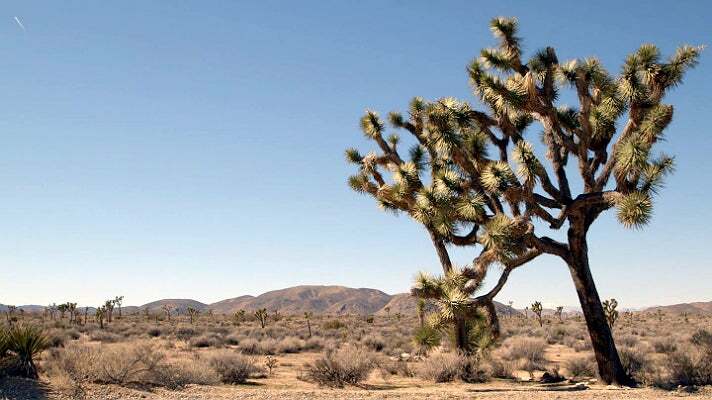 You'll soon arrive at the Los Angeles Zoo and the Autry Museum of the American West, after which the road is called Crystal Springs Drive. With a collection of more than 500,000 pieces of art and artifacts, the Autry offers an incredible option to explore the art, history, and cultures of the American West. The museum's galleries are filled with Native American art and artifacts, film memorabilia, historic firearms, paintings and more. Past the Autry, the road runs directly through the Wilson and Harding Golf Course so be on the lookout for golf carts crossing your path. There are wide shoulders and a pedestrian gravel path off of the road that edges the golf course. Keep going on Crystal Springs all the way to Los Feliz Boulevard, where you can get on the L.A. River Bike Path and loop back towards Travel Town via Riverside Drive then Zoo Drive. Watch for traffic and take a left on Riverside Drive. You should immediately get onto the sidewalk and in a hundred feet you’ll see the entrance to the L.A. River Bike Path. The path follows the Glendale Narrows, one of the most beautiful stretches of the L.A. River - hundreds of ducks, geese, egret, swallows and crane float, flap and fly above the tall oak and palm overgrowth and river rocks. It’s about 3.6 miles from Riverside Drive to Los Feliz Boulevard, where you can exit the bike path and head back towards Griffith Park. Located in Los Feliz, MessHall Kitchen showcases a modern take on regional American comfort food in a sleek setting that was once the site of one of the legendary Brown Derby restaurants. Hearty “chow” served at brunch, lunch and dinner includes favorites such as fried chicken and waffle, NOLA-style shrimp and grits, smoked beef brisket, and baby back ribs. The bar program focuses on classics, including small batch new American spirits and craft beers. 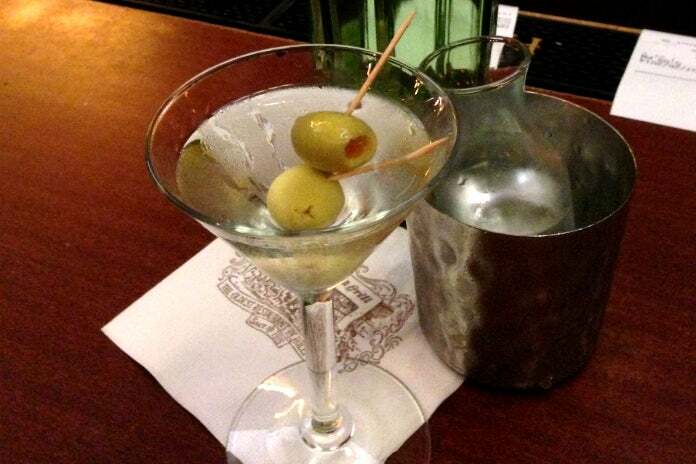 Your weekend of adventure ends at the landmark Musso & Frank Grill on Hollywood Boulevard. Opened in 1919, Musso's has been a favorite of generations of icons, from Charlie Chaplin to Steve McQueen, Charles Bukowski and Keith Richards. Order a classic Martini, which is stirred and served with a sidecar that's chilled on ice.